Additionally, American Airlines was awarded the Corporate Responsibility Award for 2010. All of the winning and nominated creative can be viewed here. Congratulations to all the winners! 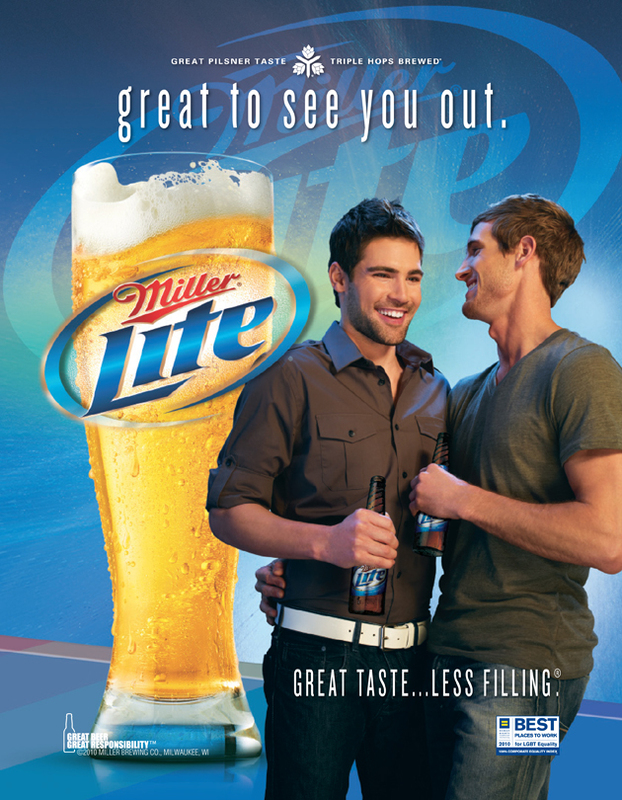 This ad from Miller Lite, titled “Great To See You Out,” was nominated in the Outstanding Print Campaign – LGBT Market category. The GLAAD Media Awards in Advertising will take place tomorrow, September 29th, in New York City. Check back soon for a list of winners! Community Marketing, Inc., a GLBT market research and communications firm based in San Francisco, has announced the completion of two studies, one focusing on GLBT consumers and the other on gay commerce. When asked which major purchases they’d put off due to the economy but intend to make in the upcoming year, one-third said they plan to take a major vacation. Furniture and automobiles are next most popular major intended purchases. When asked to rank the LGBT-friendliness of their employer on a 10-point scale, only half rated their employer LGBT-friendly. About 14% ranked their employer not at all LGBT-friendly. While more than half of respondents check Facebook daily, the difference between young and old was significant. 81% of younger gay men (age 18-29) check Facebook daily, compared with only 37% of older gay men (age 45-59). 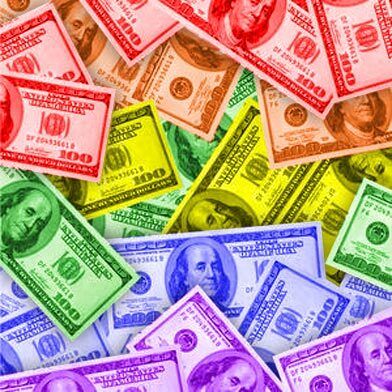 The first-ever survey of GLBT-owned companies and gay-friendly corporations yields a trove of findings and a roadmap for increasing GLBT-related business-to-business commerce. The survey of over 1,400 gay and lesbian business decision-makers was conducted by Community Marketing, in partnership with the National Gay & Lesbian Chamber of Commerce (NGLCC), and supported by Hyatt Hotels, Chubb Group of Insurance Companies and Wells Fargo Bank. The study helps to quantify and qualify the purchasing habits, motivations, and behaviors of GLBT-owned companies and gay-friendly corporations, and explore opportunities for increasing GLBT-related B2B commerce. 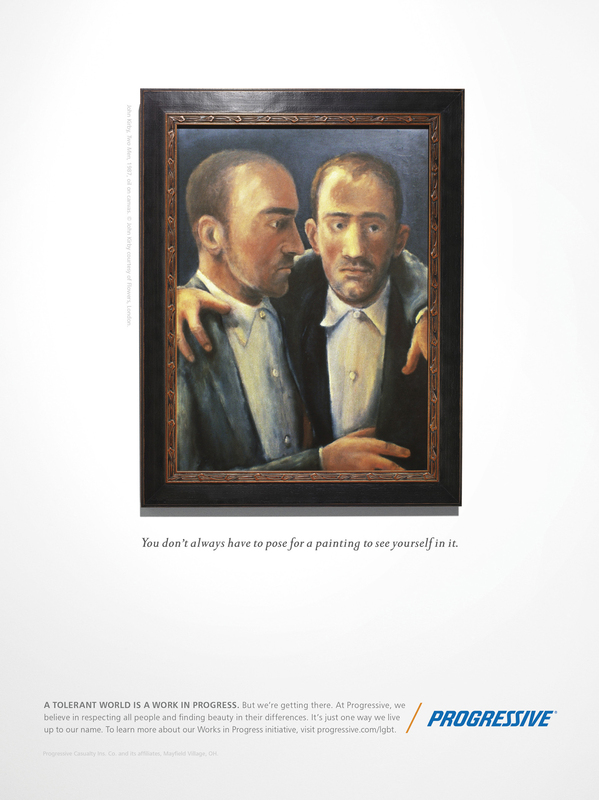 Full survey results will be presented at the NGLCC Conference, November 18-20 in Washington, D.C.
Progressive Insurance has been nominated in the Outstanding Print Campaign – LGBT Market category for its “Works in Progress” campaign, which features historical works of art featuring gay couples. For more on this campaign, read the article I wrote for the June/July issue of Echelon Magazine (page 24). “But in order to really tap into the market, Murphy said a company must start by looking inward. “You have to practice what you preach,” he said. Murphy suggests looking at human relations and corporate responsibility to see how LGBT employees are treated within a company. Fair policies and employee work groups supporting LGBT are key. In making the move outward, Murphy warns against stereotypes and cliches, such as rainbow flags in advertising and marketing campaigns. He advises businesses to complete their market research and to test the campaign to make sure it is respectful through use of employee focus groups. Copenhagen, Denmark loves its gays, and the city wants you to come see for yourself. The Scandinavian city has launched a new ad campaign, called “Open For Everyone,” in order to showcase and celebrate the welcoming and diverse atmosphere of the City of Spires. To support the campaign the city has introduced a nifty microsite, an LGBT Copenhagen blog, and Twitter and Facebook pages. The microsite is one of the better ones I’ve come across and integrates well with the VisitDenmark.com website. On the microsite, visitors can read about GLBT points of interest, see a schedule of gay events, and even create a custom guidebook for their trip to Denmark’s capital. Online business publication Echelon Magazine (www.echelonmagazine.com) has announced plans to launch a state of the art directory to list gay-owned and gay-friendly businesses in a format that reaches both online and mobile customers. The online component, Echelon’s 2011 Gay Business Directory, is set to launch in January and will incorporate a host of advertising media options including videos, widgets, and flash ads. Following shortly thereafter, Echelon will release a new iPhone app, “Go Gay Biz” that utilizes GPS technology to allow users to locate gay-owned and gay-friendly businesses on the go.